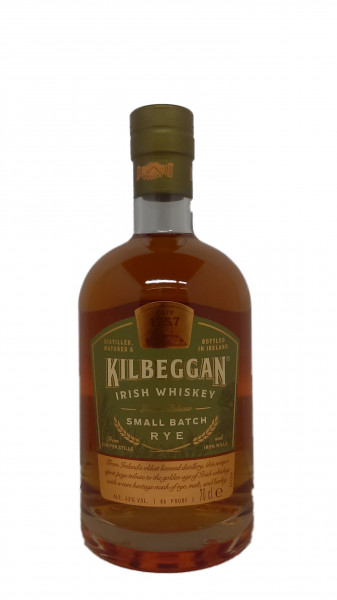 This limited release from Kilbeggan Distillery is comprised of malt, barley and approximately 30% rye. A style of Irish whisky that was very popular in the late 1800s. Soft green fruits combine with a rich and creamy aroma and give way to white pepper, citrus and soft ginger spices. Beautiful warming mouth feel of textured vanilla cream, floral spice, clove and forest sorrel, building to a crescendo of warm spice and biscuit dryness.